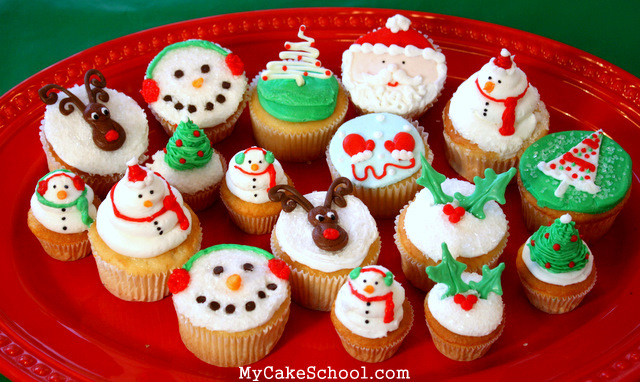 Today I’m sharing a few favorite Christmas and winter-themed cupcake designs! I’ve made several design options but a platter of any one of these styles would be equally adorable for a winter or Christmas gathering! I’ve highlighted a few favorites in the photos below, but have decided to add a complete video tutorial as well, which you can find below! 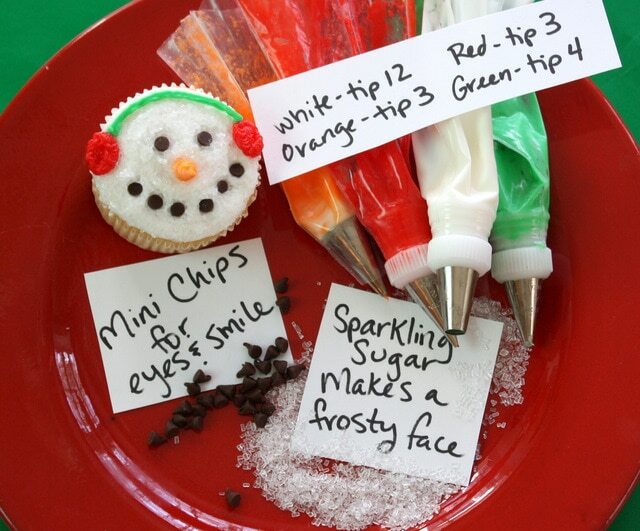 Have fun experimenting with these kid-friendly buttercream (and candy coating) cupcake designs! They are sure to bring smiles! Nothing says winter like a pair of cute mittens! Naked snowmen alert! 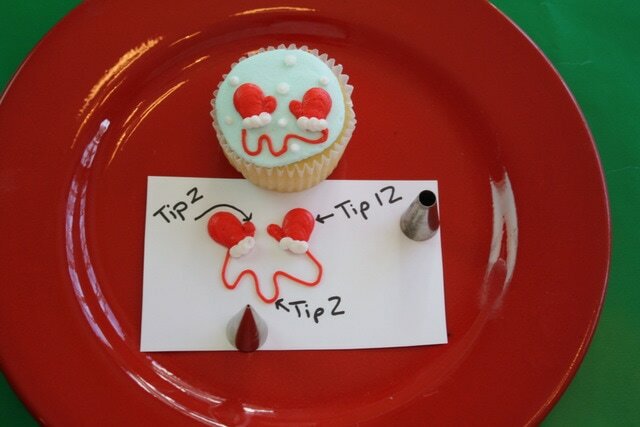 It just takes a swirl of buttercream….with a nice round tip. Now, let’s dress these Frosties up!…. And finally, one last cute snowman (because you can never have too many!) — I added my sprinkles first, then added everything else…. Thanks for stopping by! We hope you’ll come back again soon. 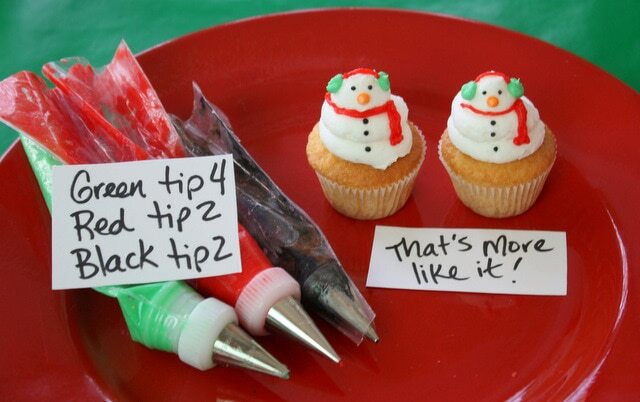 What a great way to show what you are teaching! Super cute creations. You just ooze holiday magic! It must be so rewarding to you to bring such smiles to everyones faces when they see these. God sure gave you a great talent! Thanks for all the joy you bring us “want2be’s” throughout the year! Thank you i did mine the same way and they came out perfect thank you everyone loved it. thanksss again for the great ideas…. I can’t find the video for this one. Help please! Hi Gabriela, here is the link link to mycakeschool.com It was in the video tutorials under the cupcake, cake pops and cookies. Hope you enjoy it. Yay Casey & Bailey–so glad to see you here! ;0) — Thanks, and Happy New Year!